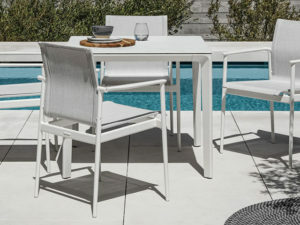 It might sound strange for us to talk about how you can make your old patio furniture relevant again, but we are very much into making the old patio furniture (providing it still holds up quality wise) new again. Just because you have invested in quality furniture a few years ago does not mean that you cannot enjoy something a bit new. 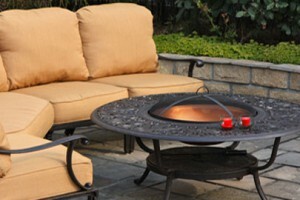 We are going to offer you a few different tips on how you can turn your old patio furniture into new furniture. You want to remove the rust of your old patio furniture before you ever decide to do anything else. You can gently scrape off the rust by using a wire brush. If you use it the right way, it is going to remove the rust without damaging the actual material. Even if you not considering giving your furniture a new paint job (which is our second tip) we recommend that you remove the rust anyway. If you have unpainted metal furniture that looks as though it has some rust, buffing it with stool wool is an effective way to bring out the shine underneath and remove rust. Just scrubbing with steel wool a bit can make a tremendous difference. Repainting your old patio furniture is going to make it look brand new. There is nothing that can quite restore the look of your patio furniture like repainting it can. A brand new finish is going to make your furniture look like new – it does not matter if you have metal, wood, or other materials. Wear and tear is normal, that is why we need to consider that older furniture is going to get weaker over time. The nuts and bolt scan loosen, which means that your furniture is less safe to sit on and becomes more likely to break down. If you are going to repaint your furniture, it is a good idea to fasten any loose nuts and bolts beforehand. Even if you change nothing else about your patio furniture, you can generate an entirely different and new look with some new upholstery. If you do not want to spend much money, a few cushions are going to go a long way towards making older pieces look new. If you already have a table, you can get a new umbrella and tablecloth and it will look radically different from before. 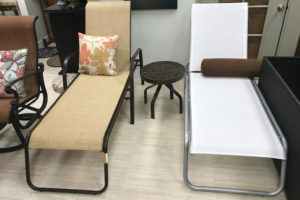 Say you already have an outdoor lounge or dining set, you can get an upgrade without having to do anything too drastic. An inexpensive sheepskin across the benches and seats are going to give you an instant luxury upgrade that you are going to love. Right, it sounds logical we know and that is sort of why we saved it until last. However, if you leave outdoor furniture in the elements for a long time, it might become rather grimy. If you have dull or dirty plastic furniture, a deep-cleaning product is going to bring back a lot of the flair that you once had.